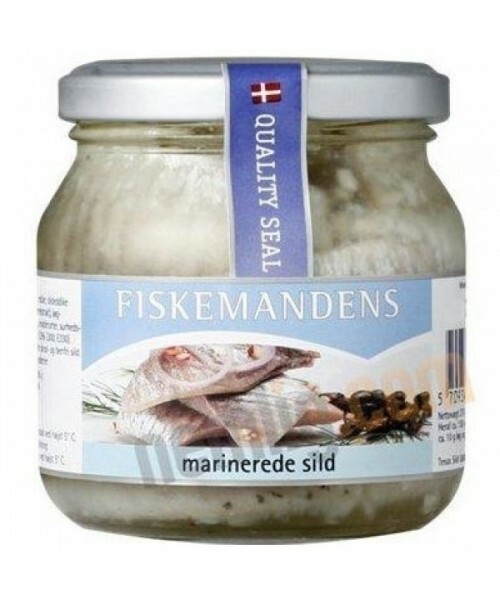 Marinated herring is a delicacy in Denmark. Initially the herring is cured with salt to extract water. The second stage involves removing the salt and adding flavours – in this case a base of vinegar/salt/sugar to which is added onions and spices. Considered a ‘must’ at Christmas and Easter, it is nevertheless enjoyed all year round. This is a chilled product. Please note - this is a special order item and is ordered especially for you from Denmark. This may take up to 2 weeks to arrive. Marinated herring is great as an ingredient in an open sandwich, served with remoulade or mayonnaise and topped with raw red or white onion, dill and sometimes capers. For a light lunch dish, herrings, boiled potatoes and eggs are a classic partnership. Please note: This is a chilled product. 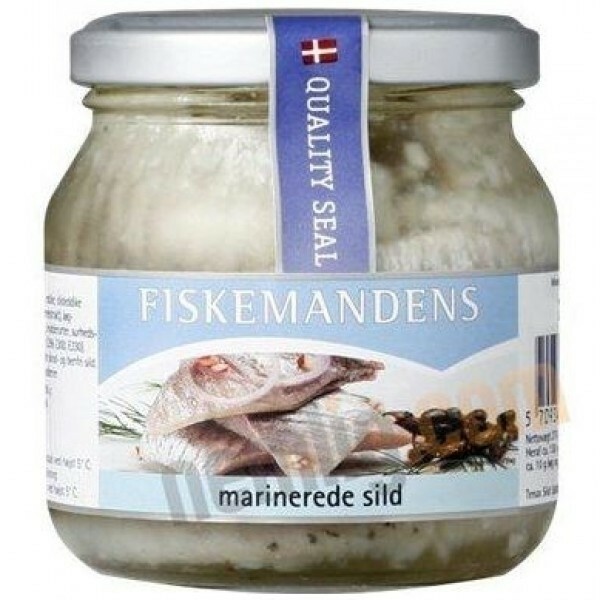 Vinegar matured herring (Fish) (35.7%) , sugar, water , onion , vinegar, natural flavour (onion , allspice , cloves ), spices , acidity regulators ( E296 , E330 ) .